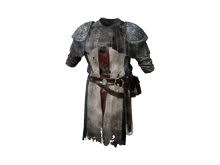 Armor worn by once-proud clerics. to conquer the Undead Crypt. so they may serve as crypt sentries. Part of the Insolent Set.